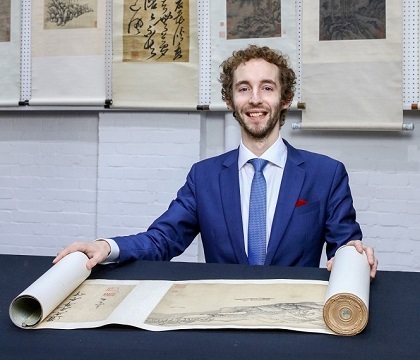 Chiswick Auctions‘ Lazarus Halstead has been actively involved with Chinese art for several years with extensive knowledge of ceramics, jades, bronzes, paintings and more. He has a strong academic background having studied Chinese art at Oxford University and is fluent in Mandarin Chinese, learnt during a period living in Beijing. An active member of the Oriental Ceramic Society, he has a track record of making important discoveries, including two 20th-century ink paintings by Xu Beihong and Qi Baishi, which together sold in 2014 for more than £850,000. What do you see as the key pieces in your Asian Art week? This season (November 2018), alongside our usual sales we will be holding one auction dedicated to antiques from the Kangxi period of the late 17th and early 18th Centuries. We have some excellent pieces of porcelain offered in this sale. What makes them so unusual or special? The Kangxi period was a key moment in the formation of the Qing Dynasty. The porcelain of the period has some of the finest paintings on Chinese ceramics with a distinctive style. There were also numerous technological developments and there is huge variety as pieces were made for export to the West in large numbers, as well as for the domestic market. What other areas/items are currently selling well? Chinese paintings. Chinese buyers are increasingly looking to buy in London where pieces are more likely to come with secure provenances. We are the leading auction house for the sale of Chinese Paintings in the UK and many of our top prices have been for paintings. I studied Chinese Paintings at Oxford and it has always been a passion of mine. Thanks to our expertise, in November 2007 we sold a 30-metre long hand scroll painting which won the ASIAN ART IN LONDON prize and sold for £267,000. Chinese bronzes. We had a sale of 130 lots of bronzes from the last 800 years in May 2018. Most of the pieces made between £1,000 and £10,000, so they are some of the most accessible areas of Chinese art in terms of price. They are also exceptional value when compared to related objects in bronze to those in ceramics and other materials. I have furniture and paintings. The furniture because it’s well made and looks good and paintings because they give me something to look at. There is a clear continuity between past and present in certain areas of Chinese art, including ink paintings and yixing stoneware, where contemporary works are achieving very high prices. I think that a key reason for their value is their association with key individual artists. These works are clearly the antiques of the future but in order for them to stand the test of time we need to ask how they compare in terms of artistic value and craftsmanship to comparable antique pieces. One thing that is changing is that auction houses are increasingly the destination of choice for buyers of Chinese art. 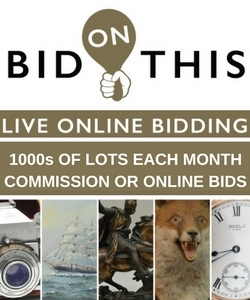 There is a perception that auctions represent the antique ‘wholesale’ market, however, auction fever sometimes means that the prices achieved in auction often exceed those that dealers can achieve directly. If you are buying in auction always ask for a condition report. Condition determines value to a large extent and some repairs can be difficult to spot, but an auction will happily provide details if requested. 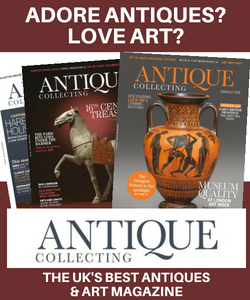 The age of a piece is also important; if a piece isn’t dated in the catalogue it may be that the auctioneer doesn’t know or it may be that the piece isn’t very old. Provenance is also important in determining value and it might be worth asking for more details about provenance than are mentioned in the catalogue. Also remember that rarity and age do not dictate value. Certain provincial wares can have little value even if they are hundreds of years old whilst ceramics from as late as the 1950s can achieve huge prices. If something is too rare it is difficult to value due to a lack of comparable works, whilst Imperial vases, often made in multiples can be securely valued in the millions. I would probably buy Old Master paintings. Fifty pounds doesn’t go far in terms of Chinese art. I would probably invest in a good reference book. Chinese art reference books are a market in their own right, but they can also help to improve your knowledge and your eye and give yourself the chance to get easy access to the highest quality works. 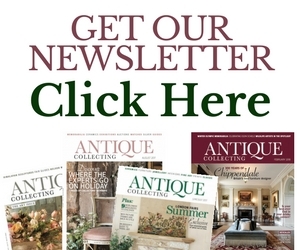 What are your favourite antique hunting destinations? There is nothing better than doing a valuation in a collector’s home. The way people interact with their collection in their own private space shows you how they value their treasures, and their role in people’s memories, interactions and family histories. I would say buying from disreputable sources and not being prepared to pay the correct price. It’s difficult to beat the market, especially if you are just starting out and if something seems too good to be true it probably is. But I think that making mistakes is a key part of learning and improving, you just don’t want to make the same mistake too many times! How old is it? What is the condition? What is the provenance? If you’re a collector you should also ask how will this complement my collection? And if I don’t buy this, how long will I have to wait before I find another comparable piece? When you find an antique with contemporary aesthetic whether it be the monochrome porcelain of the Yongzheng era or the minimalist aesthetic of Ming-style furniture, it provides a twist on the conventional wisdom about the nature of progress and reminds us that we should not be too quick to dismiss the past. Because the quality is often better and they often represent very good value for money. Across the antique market as a whole I often hear it said that there is a lack of new collectors and that young people are more interested in contemporary art. But in the field of Chinese art there are a large number of young people involved as collectors, dealers and agents.